Coffee is the new wine. Actually it’s been that way for some time now. Where there used to be several national brands and a few regional brands which all delivered a pretty satisfactory cup of Joe in the morning to get the day going, there is now a bewildering array of “specialty” brands, blends and bedlam. To complement this there is also a bewildering lexicon of creative befuddlement which ultimately takes your mind off the fact that you may actually be drinking a fairly bad cup of coffee. In an attempt to clear my mind of all this clutter, over the past several months I’ve done some very unscientific comparisons of several coffee choices. Most were brewed in a coffee press (because I got one as a present). All were consumed straight up, with none of the addictive additives used to make coffee taste like not-coffee. All were more or less carefully noted, with the notes used to produce the final list. None were tasted side by side (that would be way past my competency level). All were labeled, or implied, as some sort of “medium” roast. The dark roasts that come out of a forest fire are not my cup of tea. 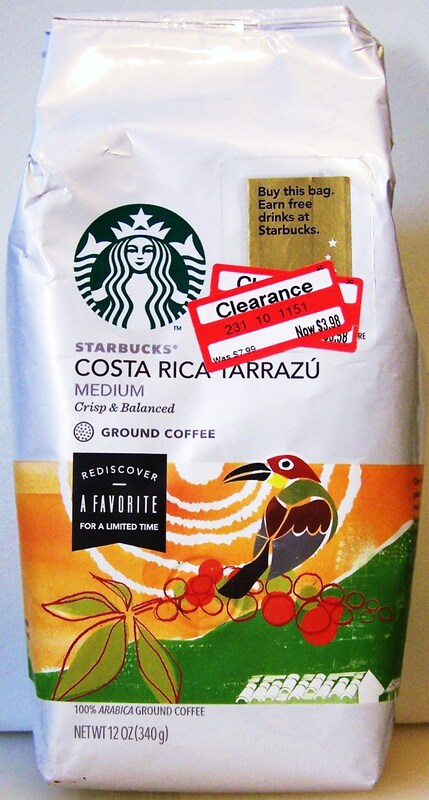 All except one were priced around seven to eight dollars per 12 ounce bag. Surprisingly, I could not find a similar coffee comparison on the web. None in the list is what I’d consider a perfect cup of coffee. If you’re looking to do some searching for your perfect cup of coffee, here’s a place to start. This one tops my list. This was tasted from both ground-in-store beans and beans ground at home, brewed in both a drip coffee maker and a coffee press. There are no unpleasant flavors, acidity or other odd tastes. It’s a really nice smooth cup of coffee. Even though it’s listed as a medium dark roast, it comes nowhere near the dark taste of a Starbucks-like roast. This one was an Amazon favorite based on comparing reviews for several coffees on Amazon. It’s unlikely you’ll find this in stores. If I could read German, I’d tell you what the label means. But alas, all I can do is tell you my impression of the coffee. The coffee is very good. Just like the Trader Joe’s above, it’s very smooth with no bad tastes. Having said that, there is a certain unique taste to the coffee which is not present in the other coffees tasted. It’s not bad or a deal breaker, but just something you may have to get used to. This appears to be a very popular brand in Germany. This was another Amazon favorite based on reviews. It’s a slight step towards the darker roasts compared to the two above. But not much of a step. And the taste can be adjusted lighter by using less coffee when brewed. Overall, it still makes a good acceptable cup of coffee with no real negatives. Ethiopia is the ancestral home of coffee and perhaps grows the best beans. Advertising works. That’s the sole reason this one made the comparison. 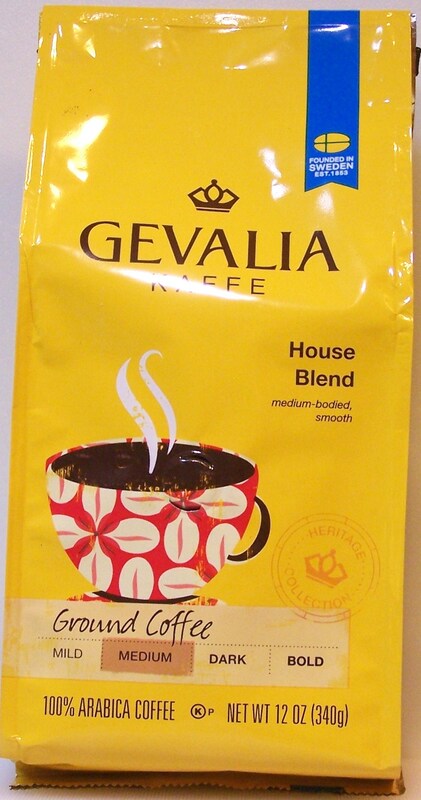 If nothing else, Gevalia has the best looking bag. This makes a very acceptable cup of coffee. One notable thing, the coffee appears to have a very fine grind, more so than most “drip” grinds. You’ll probably need to adjust down how much coffee you use in your brew. With a reputation as the best non-coffee chain coffee, this one had to be included in the comparison. But, the in-store brew seems a little better. However to be fair, I usually have a couple of shots of half-and-half with any store brewed purchase. The bagged version has a touch of acidity and sourness, lowering its rank in the list. Otherwise, still an acceptable cup of coffee. Even though this says “light” roast, it’s close to the Starbucks below in dark taste. A little acidic, it tastes better using a little less coffee in the brew. 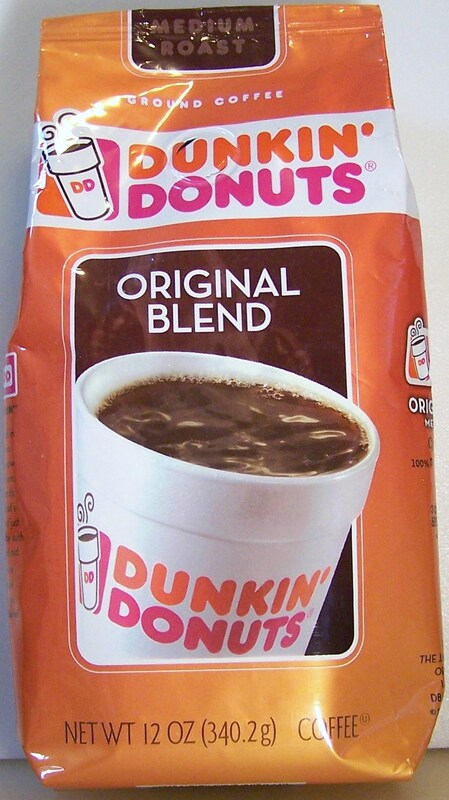 This was added because Target has a fairly large selection of different beans and blends to try. However, a large selection may not mean a quality selection. 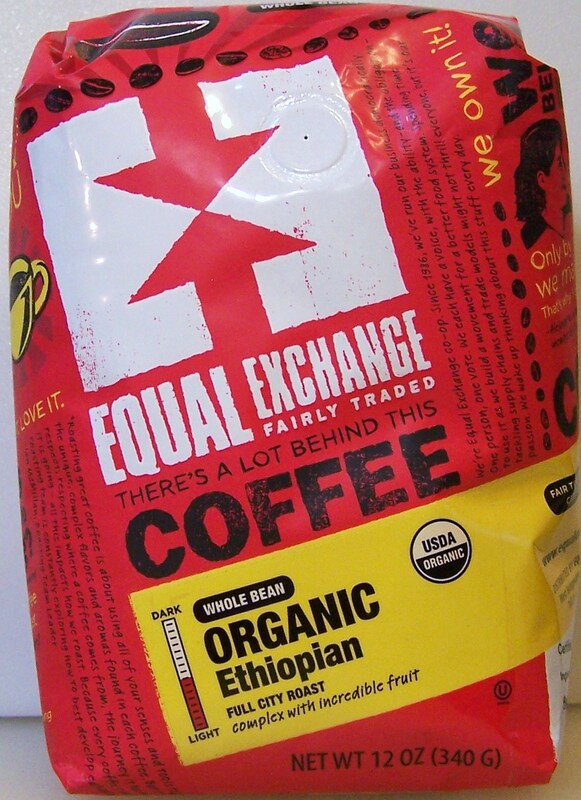 It’s also an Ethiopian bean for comparison with the Equal Exchange above. 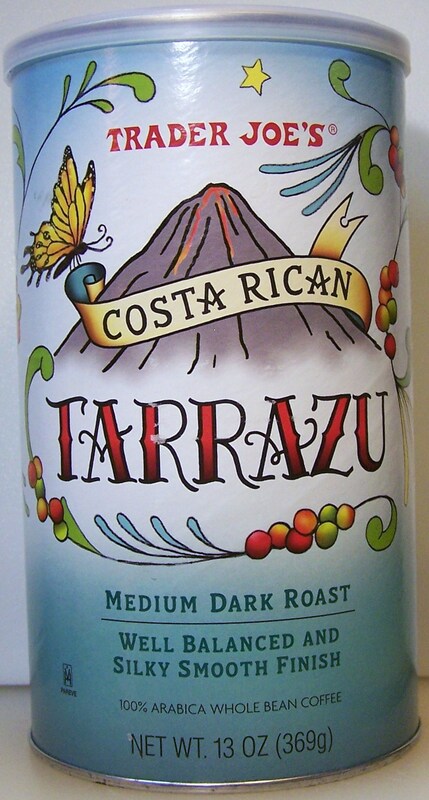 As is the case here and with the comparison between the Trader Joe’s Costa Rican and the Starbucks Costa Rican below, what happens after the bean is harvested seems more important than where the bean is grown. Here’s a direct comparison, based on growing region, with the Trader Joe’s above. 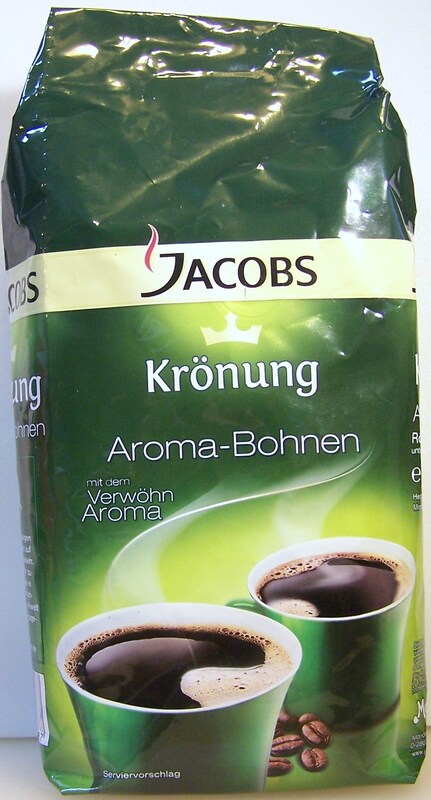 Even though this is labeled as a medium roast, it has a much deeper and stronger flavor than any of the coffees above. This is not a very good tasting coffee to me. To be fair, this was a clearance item and probably close to the end of its self life. It was also already ground. Both those things, in theory, are not good for the coffee taste. At around $4 per bag, I had to give this a try. Dark and bitter-tasting with a strong after taste, it wasn’t a very good cup of coffee. Using less coffee in the brew helped somewhat, but not enough. In its favor, it had a similar taste as the Starbucks above. If you’re a Starbucks fan you might give this a try. This entry was posted on 08/29/2014 at 07:44 and is filed under ALDI, cooking and related items, food, Recipes, Recipes, food, cooking and related items, Trader Joe's. You can follow any responses to this entry through the RSS 2.0 feed. You can leave a response, or trackback from your own site.